 All American Drum & Bass | DNB Magazine - Premiere Drum & Bass news and reviews. L Double’s Flex Records brings it big this time with releasing a fantastic release of immense proportions. The label that hails from UK got a group of artists and signed some of their best tracks for an good ol’ All American party! We were excited to hear about this from its conception. This gave an opportunity for these artist to mingle and grow as producers. 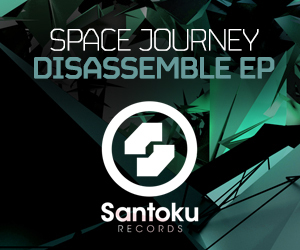 It also shows what is to come in the future of American Drum & Bass. The land of the free and the home of the bass! Lets be real here. I’m biased and I think my tracks on the LP are the best. HA! But in all honesty I had to choose my top 5 from the plethora of talent that comes through this EP. #1 is the intro track Glitch & Pish Posh “Before Adam.” This is what neurofunk is all about. The track brings you back to the days of Kemal, Rob Data, etc. The erie atmospheres, stabbing filtered synths, tight bass stabs and smooth neuro drums hit so well on a big system. #3 is Pish Posh “Programmed to Ignite.” This track was certainly programmed for something. That neck breaking grunge facing neuro crunker standing in the middle of the dance floor not giving 2 f*%ks about anyone else. Deep into the beat and the bass line. #4 is from the one we know as Liminal and his track “Frozen.” The offbeat amen style drums, the baseline, and that smooth vocal takes this track home. Gotta love this liquid sound here. Fantastic mix down and just an over all feel good track. #5 and certainly not least is The Burner Brothers & Liminal with this AMAZING track called “Good Life.” This track speaks for itself… You need to get in if you haven’t yet. A major shout out to all Artists involved. Pish Posh , The Burner Brothers , Space Journey , Liminal & Bengal ,NoizeKomplaint , Mixed Media & iIl Omen, HammerZz & Glitch. No Comments on "All American Drum & Bass"